All you need is the Codemasters game F1 2017 on either PC, PS4 or X-Box One and go to Time Trial Mode with Classic Cars. You can use any of the assists available (ABS, Automatic Gears and Traction Control) and it doesn’t matter if you use a wheel or a controller (or even a keyboard if that’s your driving style!) Once you’ve set your time with the car, circuit and weather conditions picked by Lee on the podcast, send a screengrab or photo of your time (don’t forget it MUST be a legal time in the game) to us, either by Twitter DM (@3legs4wheels), Facebook private message or email by the cutoff time for that race. Also each of the 20 points scorers will be entered into the draw at the end of the series for a special prize courtesy of CM Helmets where you can win this full size replica Nico Rosberg’s 2016 World Championship season helmet. The 1st race of the Winter Series was in Australia, in the wet and the car for this race was the 1996 World Championship winning FW18 as driven by Damon Hill & Jacques Villeneuve. This was the most popular race in terms of entries that we’ve ever had, so thanks to everyone for taking part! The 3rd race of the Winter Series was in Nigel Mansell’s 1992 Championship winning FW14B in Spa. And for the 1st time in the winter series, it’s was a dry race! Some good times on this one and a new winner as well! The 4th race of the Winter Series was Monaco in the wet in Fernando Alonso’s World Championship winning 2006 Renault R26. Once again it was a wet race and not the easiest one we’ve had so far. We’ve got to give a special shoutout to Louis Shah who doesn’t have a copy of F1 2017 but still has a copy of F1 2006 so set a time of 1:24.298 in the Renault! The 6th race of the season was on the SHORT COURSE at Silverstone in the dry in the 2010 RB6. This was the 1st time we’d had one of the short course options in the game and it meant that one slight mistake could spoil the entire lap, The upside being that it wasn’t long before your next lap started! For the last race of the Winter series, it’s all about speed, so we’re going for the fastest car on the fastest circuit! 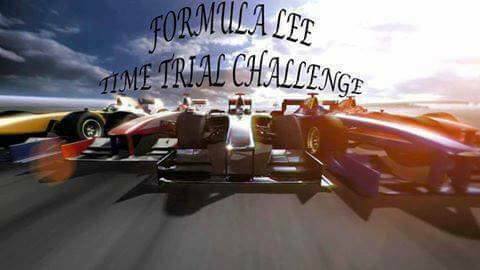 This challenge is the 2004 Ferrari F2004 in the dry at Monza. 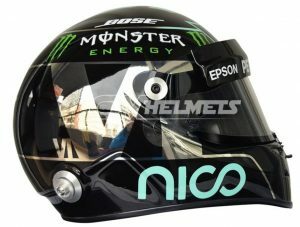 Cutoff time for this race is 7PM UK/ 2PM EST on Monday the 12th of March and this is the last chance to get into the draw for the 2016 Nico Rosberg helmet from CM Helmets.